Below you can view all the homes for sale in the Rivermont subdivision located in Alpharetta Georgia. 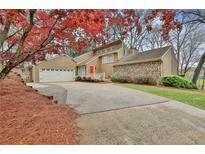 Listings in Rivermont are updated daily from data we receive from the Atlanta multiple listing service. To learn more about any of these homes or to receive custom notifications when a new property is listed for sale in Rivermont, give us a call at 404-998-4017. Private Deck Off Of Living Room With Awesome Seasonal Golf Course Views And Sunsets. Walk To Grocery And Restaurants! MLS#6539397. Above Atlanta, Llc.. Walk To Shopping, Good Schools.. Must See! MLS#6537029. Re/Max Prestige. 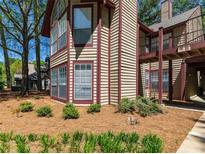 Amenities Include: Private Park With Access To The Chattahoochee, Golf, Swim, Tennis And Top Rated Schools. MLS#6534537. Bolt Realty, Llc. Home Comes With A 30-Day Buyback Guarantee. Terms And Conditions Apply. MLS#6529746. Opendoor Brokerage, Llc. Walking Trails Rivermont Country Club 18-Hole Course. MLS#6527254. Keller Williams Realty Chattahoochee North, Llc. No Need To Carry Groceries Down Or Trash Up The Stairs!.Beautiful Park-Like View. MLS#6527590. Palmerhouse Properties. Walk Out Terrace To Flat Back Yard And Enjoy Your Greenspace! MLS#6526692. Keller Williams Realty Atl North. Large Full, Finished Terrace Level W/5Th Bedroom, Newer Full Bath, 2 Bonus Rooms & Built In Bar, Sink & 2nd Wine Fridge. Endless Space To Grow! MLS#6519265. Atlanta Communities. Walking Distance To Park Across The Street! New Roof! MLS#6515077. Re/Max Paramount Properties. Featuring Hardwood Floor Throughout, Freshly Painted Interior And Exterior Tastefully Finished Basement Entertaining Room With Cedar Wood Walls, Wet Bar, 0.5 Bath. Windows Recently Replaced MLS#6511979. Atl 1 Realty, Llc..
Tastefully Finished Basement Entertaining Room With Cedar Wood Walls, Wet Bar And 0.5 Bath. Window-Panes Recently Replaced. MLS#8534057. Atl1 Realty Llc. Upgrades Include "Smart Home" Technology, Real Oak Floors, Cantilevered Deck, Bosch Infinite Water, Whole House Filter And Built In Home Generator. MLS#6505954. Maximum One Executive Realtors. Don'T Miss Out This One Is Amazing. MLS#6503346. Compass. Great Hoa With Active Swim/Tennis. Move-In Ready! MLS#6105934. Realty One Group Edge. This Home Is A Short Sale And Is Subject To Seller'S Lender Final Approval. 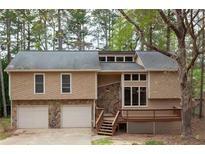 MLS#8489714. Keller Williams Realty.